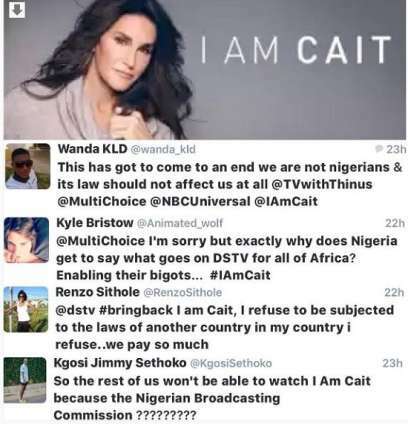 Following complaints from Nigerians about Caitlin Jenner's show, DSTV decided to put an end to its broadcast on their network, a decision which has proven quite unpopular with South Africans who have expressed their displeasure at the move. According to reports from the country, South Africa’s Channel 24 entertainment site reports that the Nigerian Broadcasting Commission (NBC) ordered that the show be pulled, effectively censoring it for African viewers. 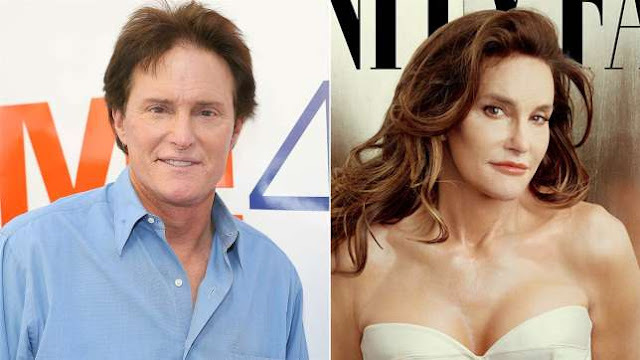 Multichoice Nigeria then did as the commission asked, and pulled down the popular transgender-themed reality TV series, 'I am Cait' which centres around Caitlyn Jenner, a transgender woman formerly know as Bruce Jenner. Angry South African viewers took to social media platform, Instagram, to express their annoyance, laying blame at the feet of the Nigerian Broadcast Commission and Nigerians for the removal of the TV show. The cancellation of the show marks the second time a transgender show was cut off from being broadcasted in Nigeria. The first instance was when 'I am Jazz', a reality docu-series following a transgender teenager, was cancelled last year.